Art and Fear - A good book about the internal and external challenges to making art, along with the rewards. quote [ The open-ended queries appear to be an attempt to penetrate the president’s thinking, to get at the motivation behind some of his most combative Twitter posts and to examine his relationships with his family and his closest advisers. They deal chiefly with the president’s high-profile firings of the F.B.I. director and his first national security adviser,... and a 2016 Trump Tower meeting between campaign officials and Russians offering dirt on Hillary Clinton. It's a New York Times story, I'll put the text in extended. The questions serve as a reminder of the chaotic first 15 months of the Trump presidency and the transition and campaign before that. Mr. Mueller wanted to inquire about public threats the president made, conflicting statements from Mr. Trump and White House aides, the president’s private admissions to Russian officials, a secret meetings at an island resort, WikiLeaks, salacious accusations and dramatic congressional testimony. Matt Apuzzo is a two-time Pulitzer Prize-winning reporter based in Washington. He has covered law enforcement and security matters for more than a decade and is the co-author of the book "Enemies Within." 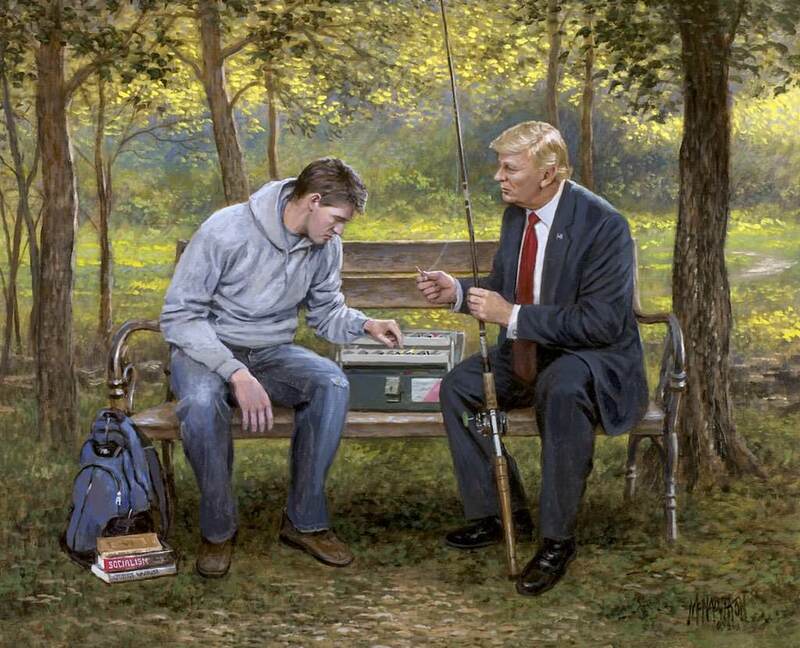 Our wise Dear Leader shows the Youth of today how to put aside the Fake News of book learning and learn instead to fish for Great Self Reliance!